Lounge in the pool on one this fun and colorful Pizza Pool Slice Float from Swimline. · Giant size, as it's over 6 feet (75 inches) long from top to bottom and 5 feet wide. · For ages 8 and up. Always the most popular pool float of the summer. · A tasty looking pizza float with delicious toppings and a thick crust that doubles as a comfy head rest for lounging. 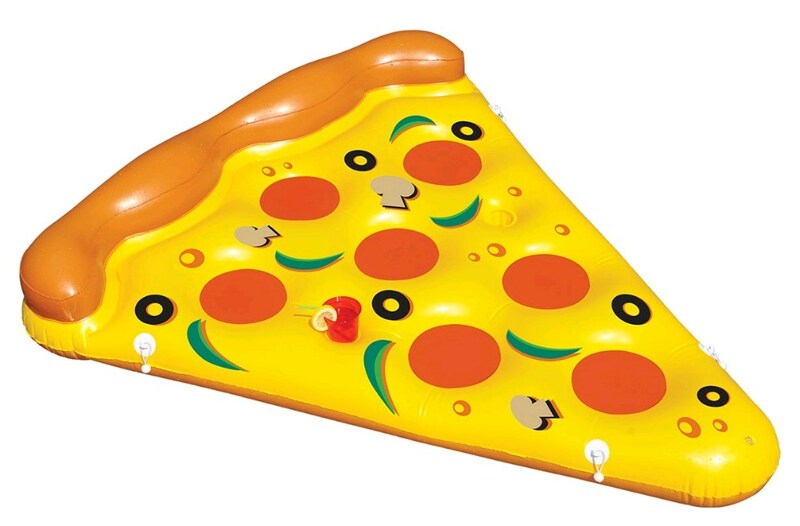 · Includes 2 air chambers, 2 built-in cup holders and 4 raft connectors, so you can tie 8 slices together for a gigantic whole pizza pie!